We had some business to take care of in the area and decided to stay here for 2 weeks. This is a small park w/full hook ups. Some highway noise from US93 but we've had worse. Considering the appearance I feel that $36 per night is a little high. Easy access, all pull through parking. Office, laundry, bathrooms are all clean and in good shape. Obviously well cared for! Will stay here again. 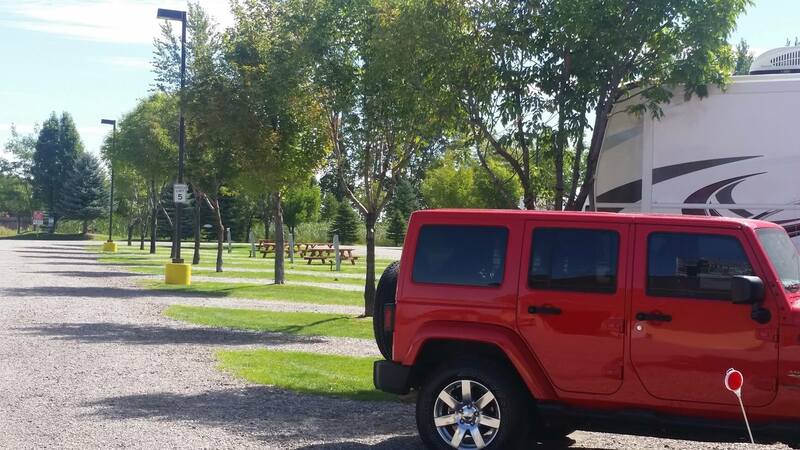 This Park has only 29 spaces, of which all are pullthrus with full hookups. The sewer from the next site is very close making it unlikely you will sit at the picnic table. Host is very friendly and will take you to you site. The park is well maintained. Convenient location on Highway 93. Very overpriced for what it is. WiFi advertised but forget it. Network didn't even show up as available. A neighboring house was burning something with plastic I think. Very caustic odor and irritated my eyes. The area had a putrid sewage smell all night long. Will never stay there again. A lovely quiet park. Extremely well maintained. Reasonable but not cheap $38.00 pn. Showers and laundry very clean. It was worth the price. Helpful and attentive and shows pride of ownership. Okay place to stay, onsite attendant was very pleasant and helpful. Nice grass area, clean, but on our third night when we returned from the grocery store, we had a very nasty note on our door about our dogs barking and there had been numerous complaints. When asked in person, the owner said, well, SHE heard them, there really hadn't been complaints. They say they are dog friendly, but they aren't. If you're traveling with your furrbabies, don't bother stopping. 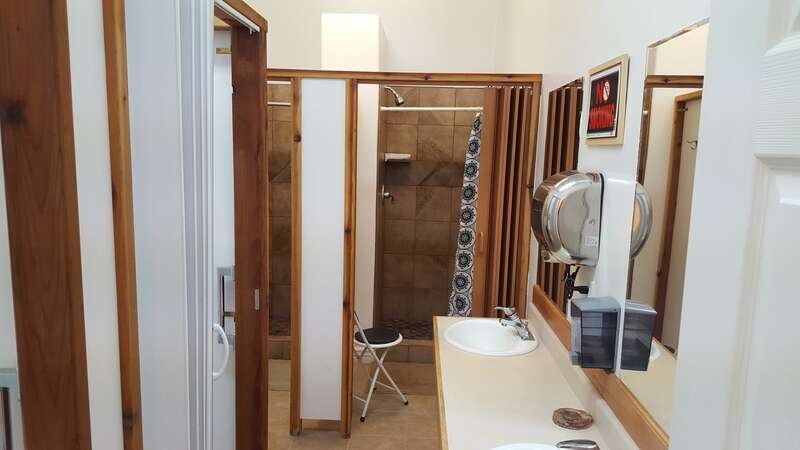 Very clean rest rooms and good laundry. Long level pull throughs. Have few feet of grass between sites. Road noise from US 93 marginal-not an issue with us. 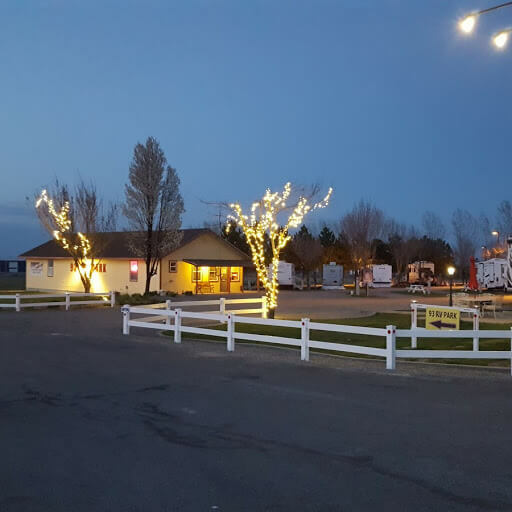 Located 15 minutes or so from heart of Twin Falls. Good shopping for resupplies and anything else. Shoshone Falls (Niagara Falls of the West), a must see. Would stay here again , no prob. This is a VERY NICE park, very friendly staff and excellent dog area! Its immaculately clean. The grass is green and the park is quiet. It has a nice hot tub to relax in. The office attendant was kind and helpful. It even has a small store with all your RVing needs. Easy access, all pull through parking, obviously well cared for! We will stay here again. 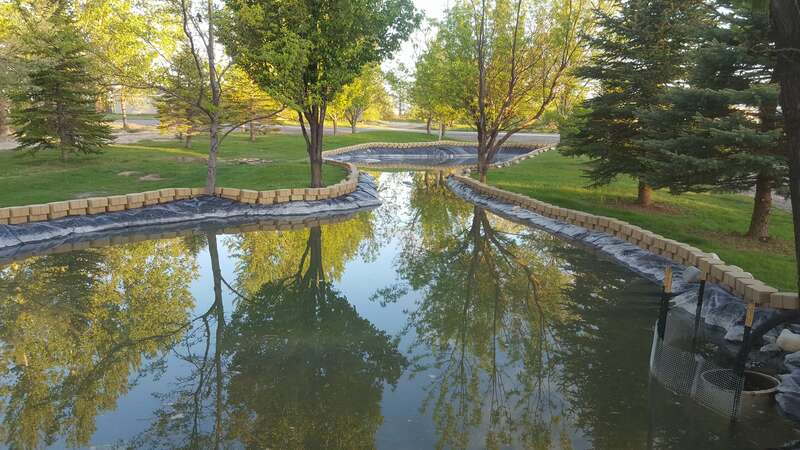 This is one of the cleanest nicest overall parks I have ever seen. 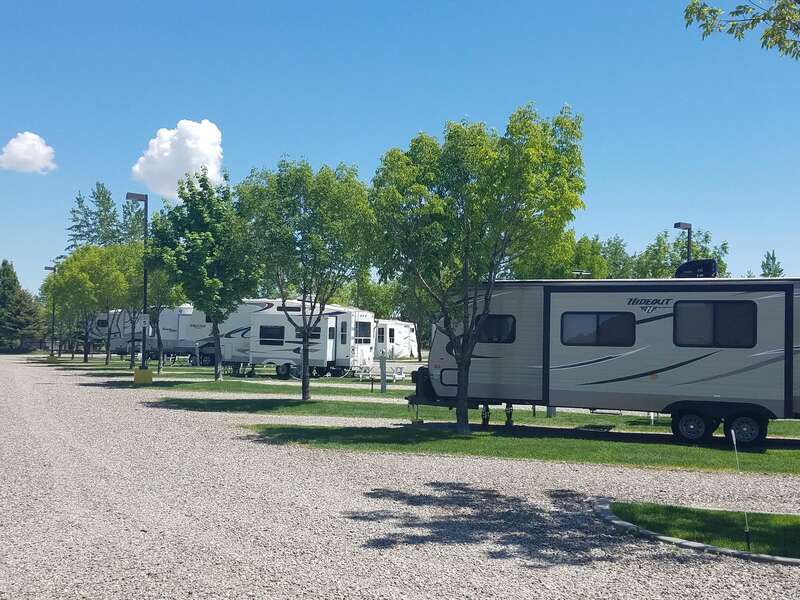 I have been rving for 30 years and in all that time I have only come across a few parks as nice as this and those were mega parks with a mega rent to match. This is a small park (29 spaces) but it has everything a large park has. 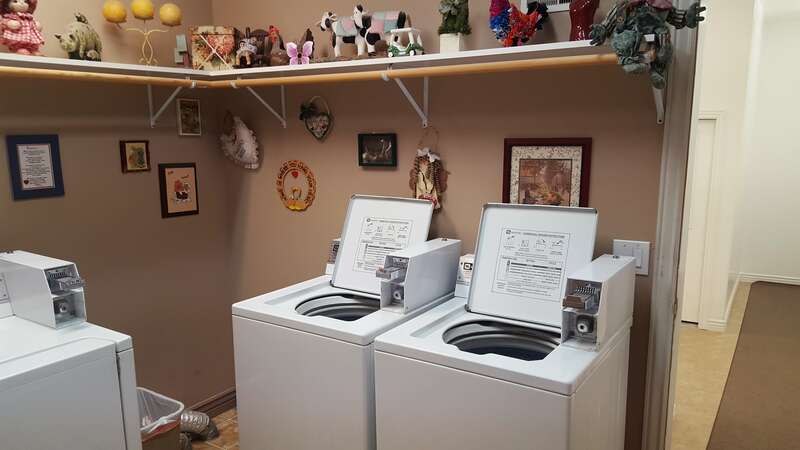 Small store, laundry room, bathrooms with showers and a nice hot tub for the end of the day. The sites have a nice patch of GREEN lawn between and are long enough to accommodate the rv and toad. The park facilities are the cleanest I have ever seen. You will not be disappointed! ! New ownership is making improvements and planning to expand the number of sites in the park significantly. Location is very convenient for seeing Thousand Springs Byway, Shoshone Falls, Perrine Bridge, etc. The host, Jim, was absolutely delightful during our stay. Have not encountered hosts as caring and kind as he was very often. Made the stay better. Not sure about other reviewers' experiences, but our wifi worked pretty well. Yes, there's some road noise, but wasn't bad at night. They advertise cable but don't have it right now. Satellite reception was good, and limited channels could be picked up on antenna. It is true that the sewer connections for your neighbor are in an odd place, but our picnic table sat back on the site, and we had no trouble with smells when we sat out there. I would stay here again. Paid $38 per night with GS. This park is a wonderful place to stop. It has very nice long pull through's . Its immaculately clean. The grass is green and the park is quiet. It has a nice hot tub to relax in. The office attendant was kind and helpful. It even has a small store with all your RVing needs. Jan was the person we dealt with. She was very courteous and helpful. We were going to Spokane and back home. Stayed both times. She had our paperwork pulled up when we arrived. I asked that we be put where we could open our slides and she did. Lovely park setting and put/ chip hole for golfers. We had a class A coach. Stayed 3 days, price was average to other parks. Grass for dogs. We had a end space so rv only 1 side...good. my suggestion would be water grass at different times, can't use picnic tables in morning everything is wet even RV s and car was a mess w/water spots all over. This is a do over. I was pleasantly surprised by the genuine hospitality when we arrived. We called for last minute reservation and only got an electric and water only site, but it was awesome. Clean and we had access to nice restrooms and showers which were clean and not far from our site. We do want to visit that area of Idaho again someday so we will get earlier reservations. 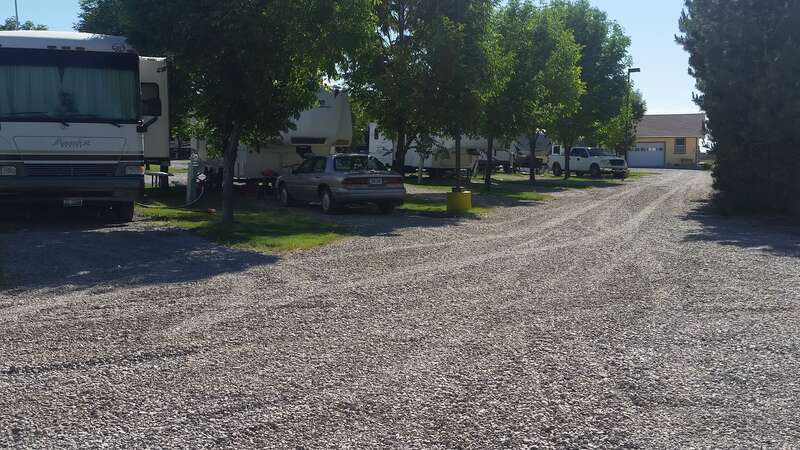 Formerly known as South 93 RV Park. 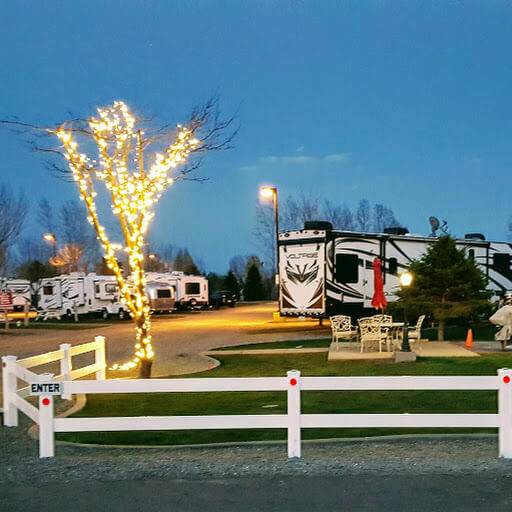 Long Pull-thru sites with full hookups and WIFI! 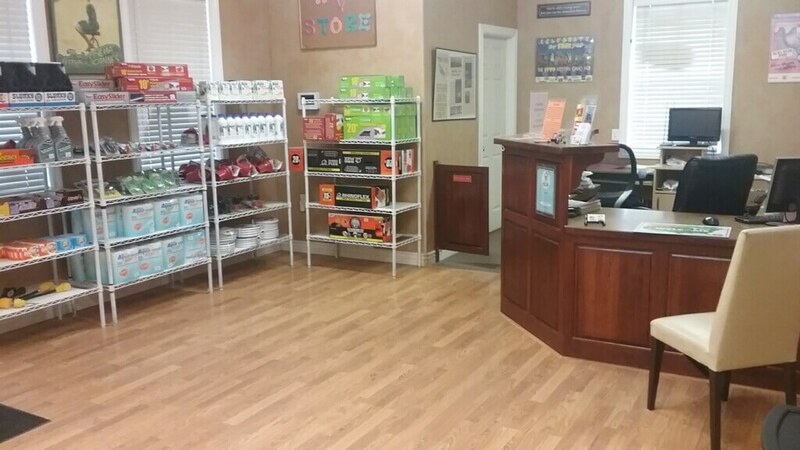 Near Costco, Walmart, St. Luke's Hospital, Magic Valley Mall, and restaurants. 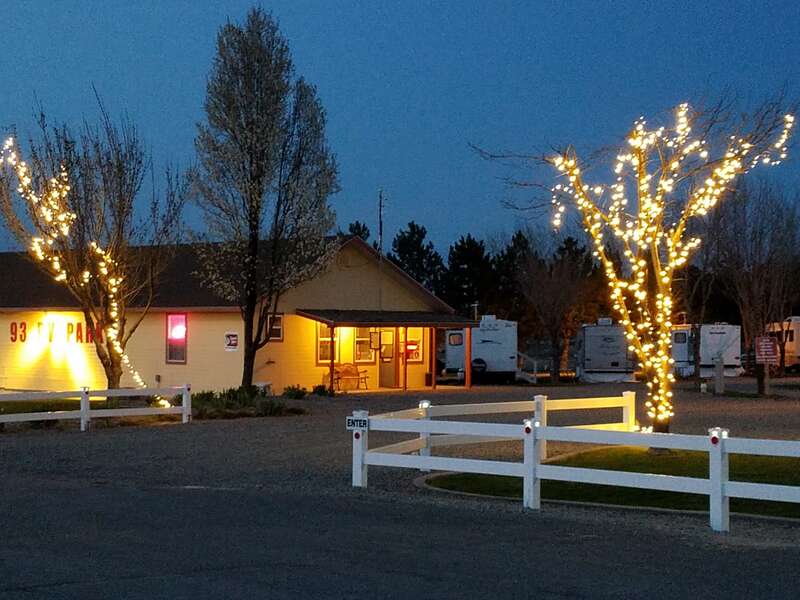 Centrally located on highway 93, 1/2 mile south of Junction 93 and 30, with easy access to I-84. We are on the way to Jackpot, NV (40 miles), on the North/South Snowbird route! Watch for our NEW SUPERSITE EXPANSION! 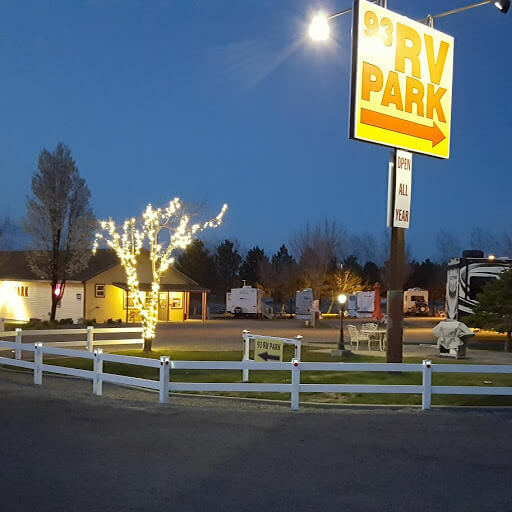 The addition of super large pull-thru RV Sites for Big Rigs coming soon!